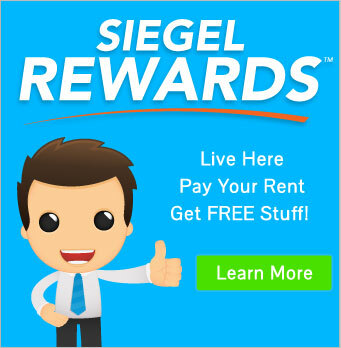 Siegel Suites Phoenix Apartments - Flexible Stay Living - Call Now! Find your low-cost, furnished apartment! Siegel Suites Phoenix Apartments are a great place to stay in the beautiful state of Arizona. We are located adjacent to Interstate 10, with quick access to downtown. We are close to restaurants, shopping, and more. Nearby restaurants include Filibertos Mexican Food, IHOP, Port of Subs and Sonic Drive In. Also, nearby stores include Smart and Final, Walgreens, and Dollar Tree. Our move in ready studio apartments are pet friendly and fully furnished. Not sure how long you will need your low cost apartment? We offer flexible stay living with a variety options to suit your needs. Rent your flexible stay apartment today with no long term lease and your choice of low weekly or monthly payment options. Bad credit OK. Some of the great amenities we include are free utilities, free cable TV, and more. Also, we provide a sparkling pool, elevators, flat screen TVs in every unit, and security onsite. Get more details below. Then call us at 480-771-7060, or email us to reserve your Phoenix, Arizona apartment at Siegel Suites Phoenix.